Twenty-four-year-old Rachel Cliff of Vancouver, BC competed in the IAAF World Track and Field Championships in Bydgoszcz, Poland, where she helped Team Canada (senior women) to a top-10 finish. 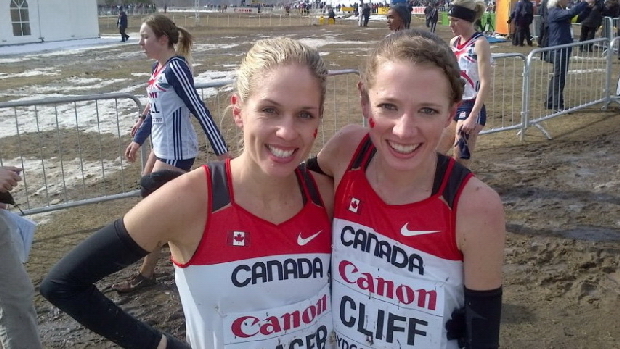 Teammate Natash Fraser finished one position in front of Cliff however, they recorded identical times. They finished in 24th and 25th position, respectively. Cliff has been a 1500m and 5000m specialist. She is the 2011 Canadian Inter-university Sport (CIS) national champion in both the 1500m and 3000m distances. She competed for the University of Guelph Gryphons. Cliff now runs for the Thunderbirds Track and Field Club of Vancouver. Cliff raced a very competitive 2012 cross-country season where she finished second at the (BC) provincial championships and fourth in the national championships against a strong field that included first-time national champion, Megan Brown as well as Kate Harrison and Natasha Fraser. Cliff competed in the 35th IAAF World Cross Country Championships that took place in Mombasa, Kenya in 2007, finishing in 51st position. Christopher Kelsall: All four teams representing Canada finished in the top-10. What was the mood like before and then after the four races? Rachel Cliff: As you would expect, there were nerves and excitement leading into the race. A lot of the stress went into just getting to the line; there were all sorts of specific rules regarding when teams had to check in to the call room, what we could take with us, and where we could-or rather couldn’t- do strides. It was a great experience, but a significant added complication. Both the junior women and men opened for us with amazing team performances and when the senior women stepped on the line the support staff and junior athletes were in great spirits and ready to cheer us on. This momentum carried forward to us, and I know the senior men’s team felt the same positive energy! CK: I heard it was your idea (and planning) to do the Harlem Shake video, is this right? RC: haha! I WISH I could take credit for that but it was actually Chris Winter’s idea! However, I was the first one he mentioned it to, so does that count? ;) At the training camp we had a skit night and my group was the one that pulled together the video. It turned out great! I think at this point we have over 8,000 hits on YouTube, definitely the most “famous” I’ve ever been. CK: Except your previous interview with Athletics Illustrated. What were your own expectations going into your event? RC: Honestly, I was just excited to be there and represent Canada for the first time as a senior athlete. My workouts had been going the best of my life, but I still had NO idea what to expect. My coach and I had talked about more “qualitative goals” to use the experience as something to help my summer season and move me forward as an athlete. Cautiously, we’d discussed top-50 being a very realistic goal; while acknowledging that I could probably place better than that. By the first lap of the race I was around top-20 and I felt awesome - at that point I realized any quantitative goal I’d had going in was out the window. CK: Apparently the temperature during the race went to 2 degrees Celsius. Did this make for sloppy footing? RC: Yeah, it was the same for everyone so it wouldn’t make sense to complain, but it was terrible out there. The course was designed to be very technical. There were piles of dirt we had to run over, logs, lots of tight corners and a MASSIVE hill! The change in temperature did make it additionally muddy and you had to be very cautious on the corners. Unfortunately, my shoe lace came untied in the first 400m so every time I went through deep mud I was very worried I would lose a spike! CK: Considering how well Natasha Fraser has been running on the roads were you surprised by how close you were to her at the finish? RC: Not just on the roads, she’s put down an amazing 3km track time too! Natasha’s been running so well this season, which has been great to see! Our plan was to get out hard from the gun and make a “path” for Team Canada, and then to work together through the race for as long as we could. We’ve meet up for runs quite a bit in Vancouver and are really supportive of each other, so we wanted to use that to our advantage when possible. She had been pretty sick for the weeks leading into the race, and although she’d turned the corner two days before, there was no way of knowing how she would feel or how it would play out. I ended up about four strides behind her the whole race and we pushed each other right to the finish, it was really nice to have a teammate out there. CK: What are your plans for spring and summer? RC: My summer goal is to qualify for the World University Games, and the qualification period ends early in May so I’ll need to get racing on the track quickly. Once I get back to Vancouver I’ll take a few days of easy running and make sure I recover from the travel, but then it will be a quick turn-around! I’ll be back doing hard workouts by the end of the week. We’ve approached this season knowing this would be the timing, so there’s been a real long-term focus in mind. For example, I only moved into three workouts a week in January, and have been slowly building track sessions in. As a result, I have a great base right now and feel rested from the taper and ready to train hard! I’m really looking forward to moving into more intense, peaking workouts.